In theory, dating apps are simply a way to meet potential love partners. These smartphone-dwelling matchmakers can even facilitate experimentation, helping users code for and discover what they want from another person in any given moment. They provide a way to meet people on a user’s own schedule, which potentially democratizes the whole dating process. We did our research and found a dating app for all vegan singles out there to find their true love. What is V&U - Vegan Dating? 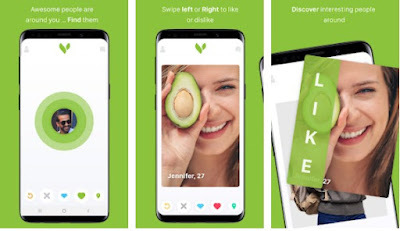 Developed for Android users, this vegan dating app offers users the chance to get connected with vegans like them that share their interests and likes to find their perfect dating match, chat and meet in real life. This simple, beautifully designed app with a clean user-friendly interface, vegans around the world can find their perfect match without much time wasted. Have fun chatting and meeting interesting vegans just by joining the largest community of vegan singles worldwide. V&U - Vegan Dating is helping vegan singles around the world to connect with each other and find their perfect match to date without much time or effort wasted. Within this community of vegan singles, users can browse profiles, swiping left or right when they like a person or they dislike a person. The user just needs to use the swipe right feature if he likes a single or use the swipe left feature when he doesn’t like someone. If you and the person you like both swipes right then it’s a match and you can get connected to chat online and even meet in real life to have fun and experience something new. With the help of this app, vegans around the world can discover amazing people instantly that share the same interests to date. Users are also offered an extra subscription with a price of $26.99 USD/month or choose the available packages for one month, 6-month and 12-months. Directly from your phone just by swiping discover the perfect vegan single to date. Download the app for free on Google Play now to find the perfect vegan match to chat online and date!